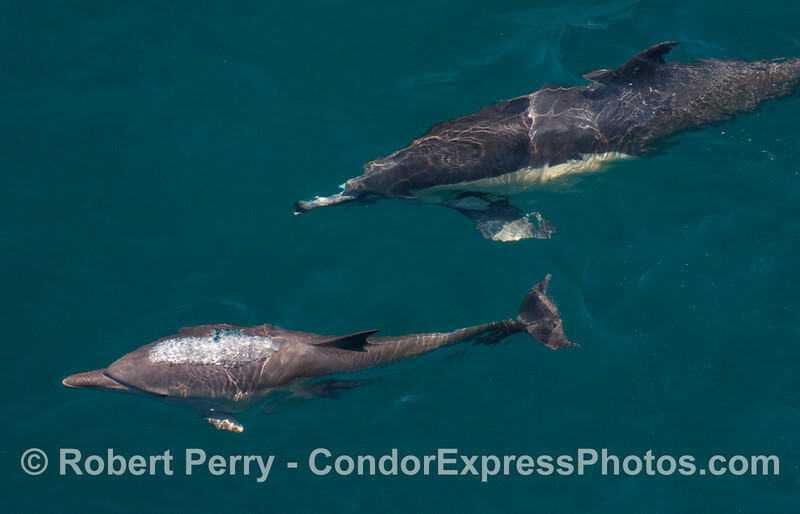 Mother and her calf Blue Whales (Balaenoptera musculus) and a few mother and calf Common Dolphins (Delphinus capensis). Skies were overcast from subtropical moisture. We even had a very quick, light sprinkle of rain. 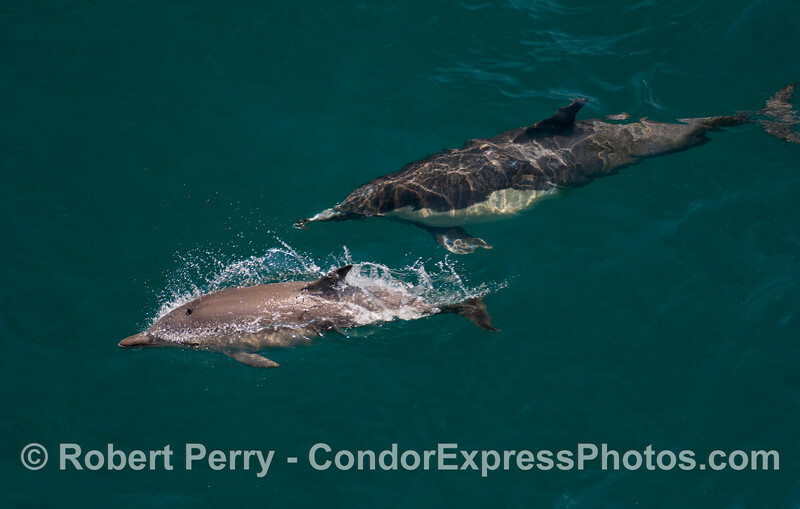 Mother and her calf - junior comes up for a breath of air. 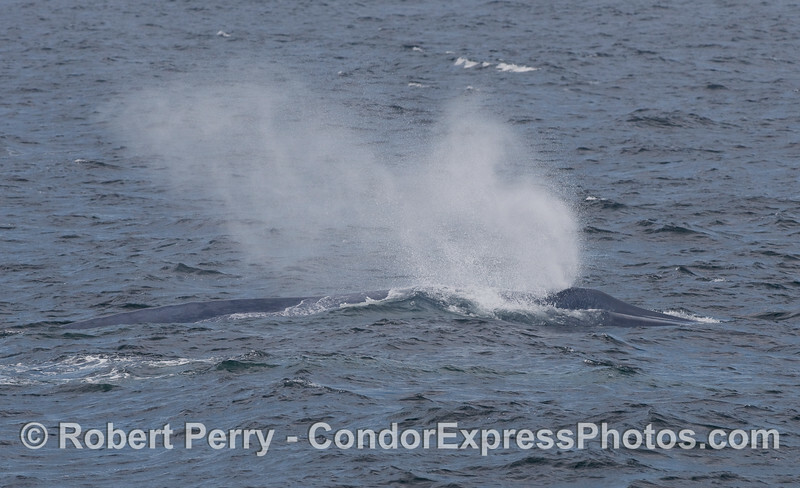 Blowin' in the wind - A Blue Whale spouts in the breeze. 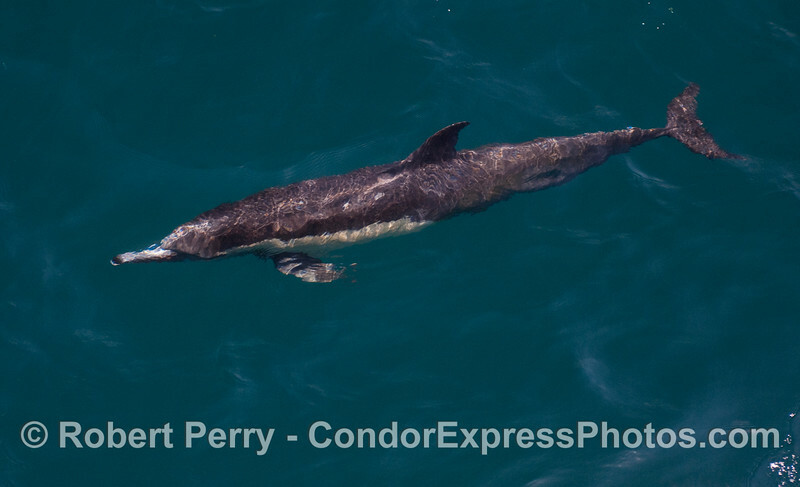 A Common Dolphin rides alongside the Condor Express. 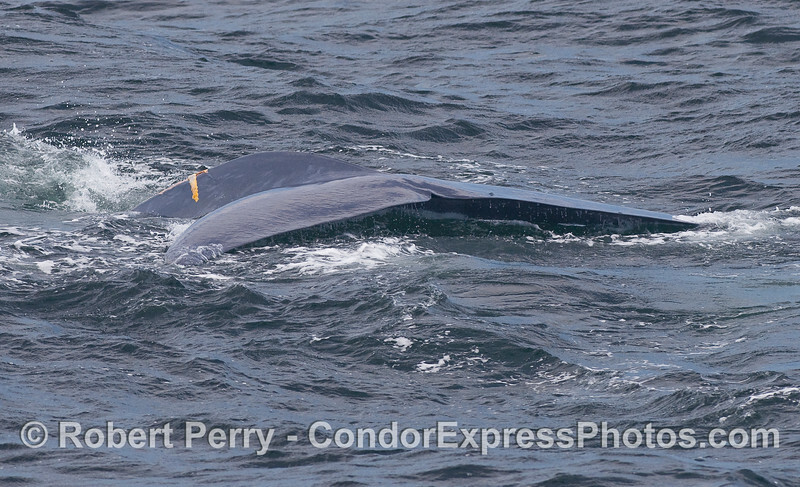 Mother Blue Whale begins a deep dive. 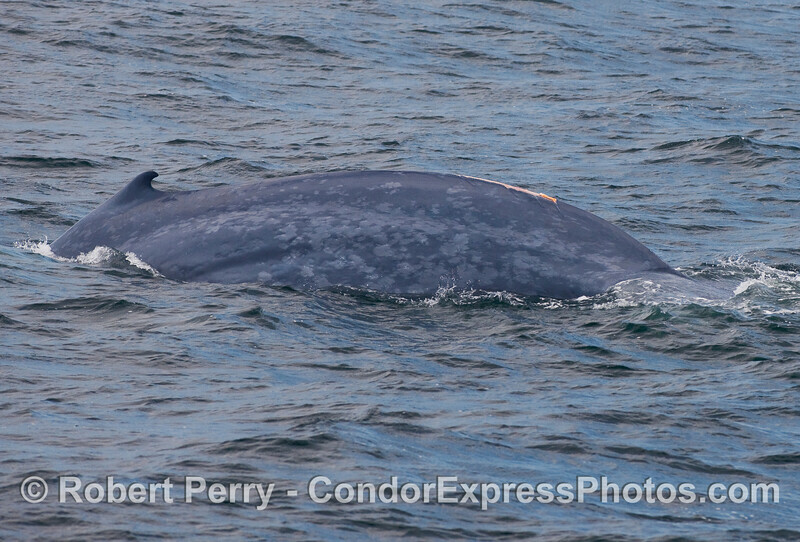 We've been watching this same whale, distinguished by the flesh wound on her back, for approximately 2 weeks. 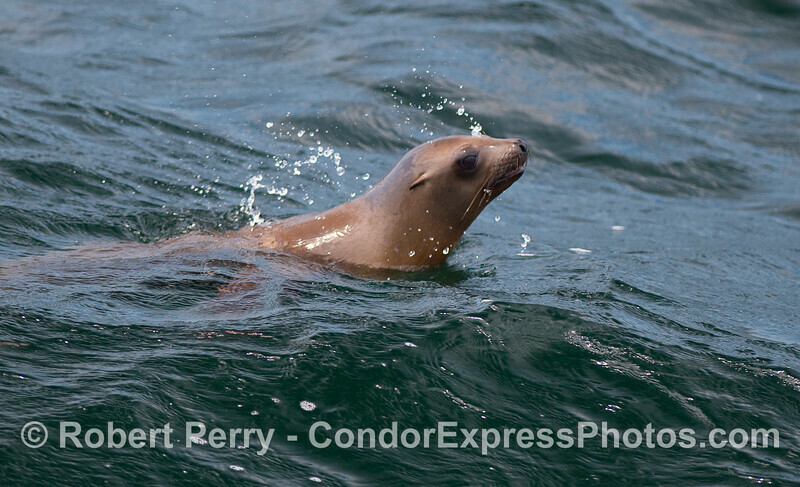 A young Common Dolphin calf starts a bubble stream underwater as mom swims nearby. 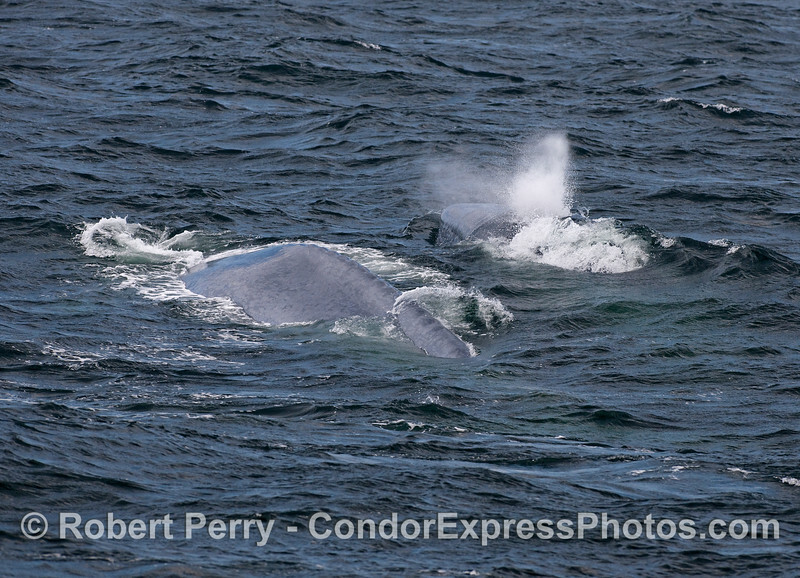 Two blue backs - Mother and her calf - Blue Whales. 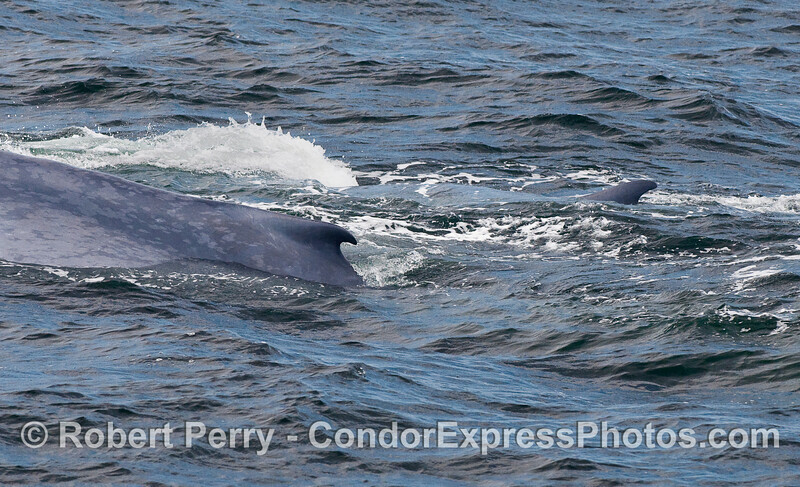 Twin dorsal fins -- Mother and her calf - Blue Whales. 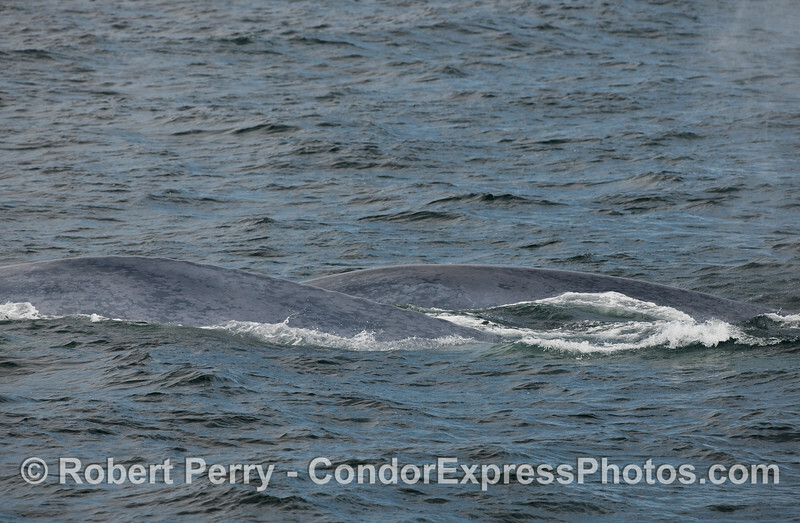 Mother and her calf - Blue Whales.